Please see below for the updated competition calendar - bear in mind that this will continue to change throughout the season as new events become available. Designated club meets will have a coach and/or team manager in attendance. You are welcome to attend meets that are not on this list but you need to make your own arrangements, however, your training programme will be tailored to suit club designated meets. Please see HERE for the team selection policy. This information outlines how coaches will select swimmers to represent the club in team events. A huge well done to all the swimmers who competed over the weekend and put up some fantastic times. It was a beautiful weekend to be swimming fast and the swimmers from every single club did themselves and their team proud. Well done to the Top Boy, Top Girl and Top Visiting Club! A HUGE thank you to everyone who worked so hard to make this Open Meet such a success. It was a great result for Team WSSC. It was a beautiful weekend weather-wise and a great atmosphere on poolside with everyone helping out from running the AOE scoreboard and results, officiating, taking charge of the BBQ, running the raffle and refreshments, manning the medal table, marshalling in the hall, catering the officials, volunteers and coaches. A big thank you to Fiona Brittain for helping to organise the meet officials in the lead up to the competition itself. Also, this meet with not be possible without the support and tireless effort of the meet promoter - Jo Proffitt who has been working round the clock to help accomodate as many swimmers as possible and keeping the meet running on schedule over the weekend. THANK YOU! as well, with many competing for the first time, while others were looking to improve on their current times and wanting to achieve those County Development times for the June Championships. There was a guest appearance on Saturday from British Swimming star Liam Tancock, who stopped by to help promote the Swimzi brand. 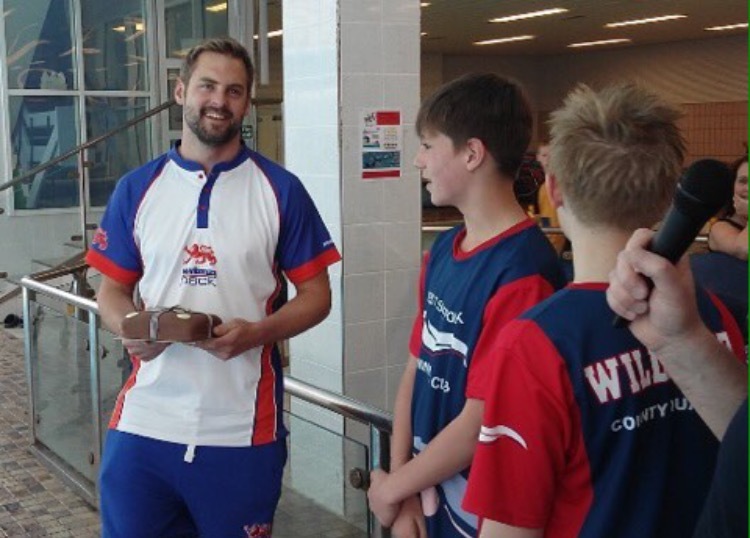 This was a great opportunity for swimmers to listen to what Liam had to say about his experiences in the sport, have their photo taken with him and get anything from photos to bags and tee shirts signed. Liam made time for everyone during his visit and everyone was excited to get in the pool to emulate their new idol. It was great to have such a down-to-earth, friendly and approachable role model. The swimmers went on to put in some fantastic performances over the weekend. There were personal best swims from over 95% that competed and a dip in the pool was a welcome relief following the soar in temperature on what was a great weekend. It was a huge success all round and a huge thanks to Liam, the West Suffolk parents who volunteered their time, with support from Abbeycroft Leisure, Culford School, Curry's, Dellar Sports Coaching, Mailsports Swim Specialists, Northgate Foods, Paul Clark Printing, Sainsbury's and Tesco's. Twelve swimmers travelled up to Sheffield for the first meet of 2016, competing in the City of Derby Long Course Open Meet at Ponds Forge. It was two full days of competition, made up of two long sessions each day. This competition offered the swimmers a chance to get into the long course racing season, with the purpose of practicing racing skills and strategies in a 50m pool, setting the standard to improve upon come the next long course competition. All heats over the two days were heat declared winner, with the exception of the 200IM events. Angharad Evans (12), put in a strong performance in the 200IM heats with a great pb to earn a spot in the 13/u Final. Also making it back after improving on his entry time was Taylor Bowen, qualifying for the boys 13/14yrs Final. A vast majority of swims over the weekend resulted in long course pb's for the swimmers, which was great to see so early on in the season. The twelve swimmers raced in 87 events between them over the course of the weekend. Swimmers competing were: Alex Proffitt, Alexander Harrison, Angharad Evans, Annabel Heywood, Connor Gillingham, Ellie Llewellyn, Hannah Brecknell, Jake Thomas-Mansfield, Molly Ollington, Myles Turner, Niamh Perry and Taylor Bowen. The first block of the 2016 Suffolk County Championships got underway this past weekend, with the girls 800m and boys 1500m Freestyle events being held at the UEA SportsPark in Norwich. The event is held in partnership with Norfolk ASA and is swam long course (in a 50m pool), with the remaining block of the Championships being held short course (25m pool) at Crown Pools in Ipswich through February. For some, it was the first time that they had swum in a long course pool, while for others, it was the first time that they had swum the distance events in the 50m pool. The afternoon got underway with Cerys Williams having a storming race in heat 1, swimming an even paced swim throughout and finishing in a time that was over 20 seconds faster than her short course entry time. Ellen-Louise Crouch was up in the in heat 2, along with Caitlyn McKay. Both swimmers were racing the 800m long course for the first time, so in the process setting long course best times to improve on when they next get the chance. It was the first time that Ellen had raced in a long course pool as well. Also swimming the 800m long course for the first time were Lucy Hudson and older sister Charlotte, Lily Genner and Hannah O’Connor. In the process, all four swimmers set long course best time standards which they will be able to improve on at their next outing. Ella Hale, who is no stranger to 800m races in a 50m pool, improved on her long course best time by 11 seconds, set at the 2015 Regional Championships. Annabel Heywood swam her first 800m long course race since an injury set back 12 months ago. Niamh Perry set off on her 800m race with a storming first 400m, going through at the halfway mark 20 seconds faster than her 400m long course pb – set at the 2015 Regional Championships. She was just pipped at the finish in her heat, to finish in 2nd place, breaking the 10-minute barrier in the process. In the 1500m event, the boys had 30 lengths of the long course pool to race. Logan Pyle was up first, finishing outside his best time set last year in the same pool. William Harpur-Davies improved on his long course best time in the event by 32 seconds. On his first outing in the long distance race in a 50m pool, Sam Wortley put in a strong swim, followed closely in the same heat by Ciaran Riches who also got to experience the 1500m in the long course pool for the first time. The final heat of the night saw Alex Proffitt and Myles Turner battling it out with the best long distance swimmers from Suffolk and Norfolk counties. After coming down with a chesty cough over the past 10 days, Myles started off strongly, but was unable to finish the race after finding it difficult to breathe. Alex swam a strong even paced swim throughout, just getting pushed into 3rd place on the finish, with the 30 lap race coming down to the touch for the 2nd and 3rd places. The main block of the Suffolk County Championships will be held at Crown Pools in Ipswich on 13/14th February, 20th/21st February and 28th February. The Performance squad swimmers were up with the Lark this morning, whilst Deb and the others had an extra hour in bed. They took part in a pleasant 15 minute morning warm up session around the leisure pool for the second day running prior to breakfast. We had 5 badminton courts booked this morning, however, some swimmers preferred to play squash or attend yoga - whilst others, yes, you've guessed it, decided to soak up some sunshine! The afternoon training session took place under a clear blue sky, with everyone working on a threshold set. The Performance swimmers followed this with a track run to improve on their times from earlier in the week. This evening will be our last at camp, so a debrief was held in the conference centre, with swimmers scurrying off to pack their cases. However, you have not heard the last from us ... we will have time to write one more blog tomorrow before our evening flight home. While everyone else was out doing their last bits of Christmas shopping, two West Suffolk swimmers travelled up to Sheffield for the ASA British Winter Short Course National Championships, which were held at the Ponds Forge International pool. Having achieved the junior qualification times in the months leading up to the event, Myles Turner was competing in the grueling 1500m Freestyle event, with Jake Thomas-Mansfield having qualified for both the 100m Individual Medley event and the 200m Butterfly. First up was Jake, competing in the 100 IM event where he swam nearly a second under his pb (personal best) and entry time, having only achieved that a month earlier. Jake was off to a strong start on his butterfly and backstroke legs, before losing some ground on his least favoured breastroke leg, before finishing strongly on the freestyle, finishing in a time of 1:02.58. Jake was back in action a little over 30 minutes later, competing in the 200m Butterfly. Only having set a new best time at the Club Championships 3 weeks earlier, Jake continued to show improvements, taking over a second and a half off of his pb time, finishing in a time of 2:12.02. This is a relatively new event for Jake, with him only having swum it a handful of times this year. The 1500m distance events were scheduled for the middle of the day and Myles was in action following some time out of the pool in November with an injury. Myles got out to a strong start, leading his heat down the first 500m. At around the 800m mark, Myles started to pull away from his fellow competitors and held on to that lead through to the finish, where he was just outside of his personal best time achieved in November at the Winter Regional Short Course Championships. Following the Christmas break, the swimmers will be back in action in Sheffield in the middle of January at the City of Derby meet, before the Suffolk County Championships get underway in February. The Winter Regional Championships saw 24 swimmers travelling to Luton for a long weekend of racing. With the changes to the British Swimming Competition structure, the Winter Regional Championships were held at the start of November, with the target meet for December seeing the Winter Short Course Nationals reintroduced, which will be held in Sheffield the week before Christmas. West Suffolk had 24 swimmers qualify for this Regional Championships which was held over 3 days at the Inspire Sports Village in Luton. It was an open age group competition, so there were no individual age group finals, with only the top 8 qualifiers from the heats going through to the evenings finals session. 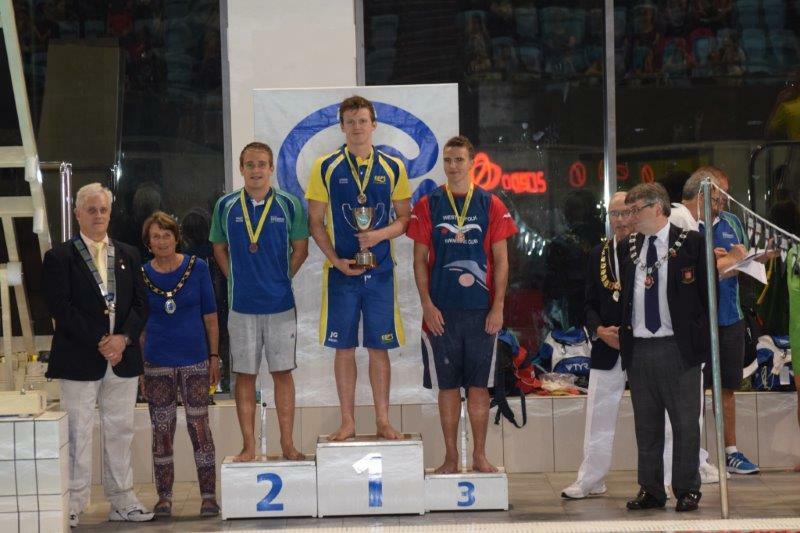 The weekend got off to a great start, with Myles Turner, the sole swimmer competing in the Men’s 1500m Freestyle event. Having not swum this event since May, it was a great opportunity to see where Myles was at in his training 2 months after the summer break. Myles started strongly and held his race plan together well, knocking 22 seconds off his entry time and in the process, gaining his first Winter Nationals qualifying time. On day two, the morning heats saw the fastest WSSC swimmer in the Men’s 200 IM event going to Jake-Thomas Mansfield who finished inside his entry time with a 2:17.93. Birthday boy Thomas Buckle, also finished inside his entry time with a time of 2:23.25. In the Women’s 50m Backstroke, Molly Ollington was the top swimmer for West Suffolk with a time of 31.01 finishing in 16th place, closely followed by Lana Mo on 31.18. Jake was back in action as the fastest WSSC 50m Freestyle swimmer, picking up a new best time of 25.58. In the grueling 200m Butterfly event, Alex Proffitt swam a comfortable heat swim to qualify second fastest into the final. Jake Thomas-Mansfield was back in action yet again, taking nearly 6 seconds off his entry time and joining Myles Turner with a British Winter National short course qualifying time to his name. Jake had a solid swim to finish in a time of 2:14.12. Lana Mo missed out on the 100m Breastroke final by 1 place, finishing in 9th, while in the Men’s 100m Breastroke, Ed Briars knocked over a second off his time to swim sub 1:10 for the first time coming in at 1:09.85. In the second session of the day, Alex Proffitt finished the Men’s 200 Freestyle in a 1:58.89, with Jake-Thomas Mansfield joining the sub-2 minute club for the first time with a 1:59.92 effort. Beth Sampher was the fastest WSSC 50m Butterfly swimmer on the day, with a sub 30 second effort seeing her finish in 14th position. In the finals session on day two, Alex Proffitt swam a new best time in the Men’s 200m Butterfly, finishing with a bronze medal to his name and only a quarter of a second behind the silver medal winner. It was a bittersweet swim, with his time just 0.9seconds away from the Men’s British Winter Nationals qualifying time, but nonetheless a great improvement from Alex. On the final day of the competition, the swimmers were back in action for another tough day of racing. Lana Mo picked up a new best time in the Women’s 200 IM event, finishing in 10th place and just off making the final. Jake-Thomas Mansfield continued to improve on his entry times with a half second improvement in his 50m Backstroke event swimming 29.31. It was a close race in the Women’s 50m Freestyle between West Suffolk team-mates Molly Ollington and Lana Mo, finishing in 16th and 17th positions respectively in 27.43 and 27.47. Ed Briars was back in action in the Men’s 200m Breastroke, finishing inside his entry time with a 2:33. 25 swim. Olivia Nicolai was 5 seconds inside her 200m Breastroke time with a strong swim, finishing in 2:49.63. The illusive sub-minute swim still haunted Jake-Thomas Mansfield and Alex Proffitt who both finished just outside breaking that time barrier with 1:00.27 and 1:00.53 respecitvely. Beth Mottram was the top WSSC swimmer in the 100m Butterfly, finishing in 13th place in 1:07.42, closely followed by Molly Ollington in 1:07.91 in 17th. The penultimate session of the weekend saw Lana Mo as the top WSSC swimmer in the 100m Backstroke event, finishing in a time of 1:06.86. In the Men’s 100m Freestyle, jake Thomas-Mansfield improved on his entry time, edging closer to a 54 second swim, with a 55.33 effort. Lana Mo again just missed out on a final place, with the a joint 10th place swim in the 50m Breastroke. Close behind in 14th place was Angharad Evans, just outside her pb time, with Hannah McNaul finishing in 20th position. Also competing over the weekend were Beth Edwards, Annabel Heywood, Eleanor Llewellyn, Chloe Long, Freya Wright, Niamh Perry, Oliver Pyle, Ben Wilkinson and Alexander Harrison. Well done to all swimmers who qualified for the event. The British Winter Nationals will take place in Sheffield from Thursday 17th – Sun 20th December. Good luck Myles Turner and Jake-Thomas Mansfield who have qualified for the event. Plans were scuppered this morning with our Open Water swim and Halloween Zumba class cancelled due to the weather. This was the first rain that we have experienced all week, and accompanied by a strong wind, the camp hoodies came out of the cases early .... besides Ciaran, who has had his on all week! Our pool session was altered to prevent frost bite, with swimmers doing an extended land warm up, followed by a 100m 'cold' swim of their choice, timed in waves. We finished the session with an 800m cool down on mixed strokes, with plenty of photo opportunies at the end. 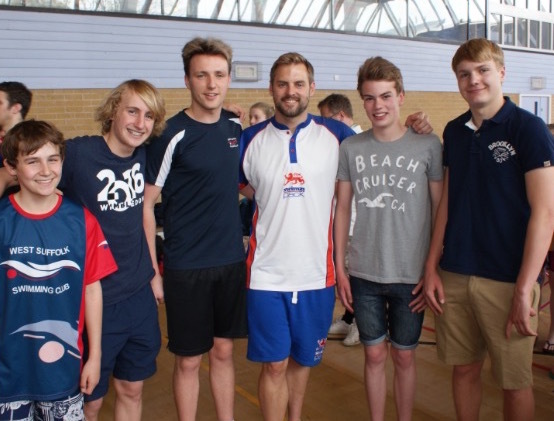 This has been a hugely successful camp, with all swimmers acquitting themselves well, both in and out of the water. Best Advert for Sun Block: Edward Briars - Casper won't need his sheet for Halloween this year! Most Active: Myles Turner - Besides the swimming and running, was to be found taking part in all the activities on offer during the week. Dan and Deb signing off ... See you at Gatwick! After a 45 minute delay in London and a 4 hour flight, the WSSC troupe landed in Arrecife at 7:45pm. Our transfer driver was waiting patiently, displaying a WSSC sign, but unfortunately, we had to wait for a team from Ireland to collect their baggage, before we made the short journey to Club La Santa. Despite it being dark, the temperature was still 23'C, so Camp hoodies were being worn as capes. After checking in, came the search for our rooms as Club La Santa can only be described as a maze. Being too late for our evening meal, the resort issued all swimmers with a dinner pack, including water. As with the UK on the 24th October, clocks went back 1 hour, allowing everyone an extra hours sleep. The third and final round of the 2015 Arena League competition was held at Bury Leisure Centre in the run up to Christmas. With West Norfolk SC due to host – but with no available facility to use, WSSC stepped in and offered to host the round at Bury. There were 6 teams competing in gala 2 of the Premier Division, with Louth SC in Lane 1, Deepings SC in lane 2, West Suffolk in lane 3, Notts Leander in lane 4, Sherwood Colliery SC in lane 5 and West Norfolk in lane 6. West Suffolk got off to a strong start with a second placed swim in the ladies open 200 IM event from Molly Ollington. It wasn’t long for West Suffolk to wait for their first victory of the evening, with the girls 9/11yr old Freestyle relay (Lucy Hudson, Cerys Williams, Jessica McNaul and Charlotte White) dominating event 3. There were a further 20 victories from 50 events on the night. Victories came from: girls 13/u Medley relay (Niamh Perry, Freya Wright, Scarlett Guy, Angharad Evans); boys 13/u Medley relay (Jack Bowyer, Ciaran Riches, William Harpur-Davies, Sam Bullingham); girls 15/u Freestyle relay (Beth Edwards, Hannah Brecknell, Ellie Llewellyn, Hannah McNaul), boys 15/u Freestyle relay (Jake Thomas-Mansfield, Evan Thomas-Mansfield, Oliver Pyle, Myles Turner); ladies open Medley relay (Molly Ollington, Beth Mottram, Beth Sampher, Beth Edwards); Angharad Evans (13/u 100m Breastroke & 100m Freestyle); Myles Turner (15/u 100m Backstroke); Beth Mottram (ladies open 100m Butterfly); Jack Bowyer (boys 13/u 100m Backstroke & 100m Butterfly); Jake Thomas-Mansfield (boys 15/u 100m Butterfly & 100m Freestyle); Niamh Perry (girls 13/u 100m Butterfly); Beth Edwards (girls 15/u 100m Freestyle); Ciaran Riches (13/u 100m Freestyle); Molly Ollington (ladies Open 100m Freestyle); girls 13/u Freestyle relay (Freya Wright, Angharad Evans, Niamh Perry, Scarlett Guy); boys 13/u Freestyle relay (Ciaran Riches, Jack Bowyer, William Harpur-Davies, Logan Pyle) and the boys 15/u Medley relay (Myles Turner, Ollie Pyle, Jake Thomas-Mansfield, Evan Thomas-Mansfield). There were also a further 11 2nd placed swims and 9 3rd placed swims from the West Suffolk swimmers on the night, in what was a great team event for the swimmers. Other team members on the night were Alex Proffitt, Ben Wilkinson, Charlie Eshelby, Edward Briars in the open age group category and George King, Robbie Brindley, James O’Connor, Tobin Sari in the boys 11/under age group. Well done to all those swimmers that competed. On the first full day camp, it was a 'lay in' by usual standards. Alarms were set for 7:15am, meeting for breakfast at 7:45am. We had been allocated large tables in the buffet style restaruant, thus allowing the whole team to sit together during meal times. After a healthy breakfast of fruit, yoghurt, cereal ... plus afew cooked breakfasts and pastries!!! (nutrition talk planned! ), we then prepared for our first pool session. Two 50m 8 lane pools side by side, made a pleasing site on this warm morning, a perfect setting for the kick set that was about to wake up the wary travelled legs. With only one session today, to ease the swimmers in gently, we made sure that they were setting the standard for their swimming for the rest of the week ahead. With logbooks completed, along with the distribution of some very nice Club La Santa goody bags, we made our way back to the dining hall to refill hungry mouths, ready for a fun filled afternoon of windsurfing, kayaking, body-boarding and canoeing - along with being entertained by our swimmers showing off their skills from a 1m springboard: - Gold medal going to Logan Pyle, Silver to William Tozer and Bronze to Freya Wright for their skills. Following dinner it will be an early bed time, in preparation for a 7am session in the morning. It was still dark this morning when we made our way to the pool. However, within minutes, the sun rose and with all the swimmers arriving earlier than the specified time (how often does that happen!? ), we completed the 4/5k of aerobic swimming with time to spare. Breakfast followed, with Ed Briars just topping up on his pre-training snack of toast and jam with a hearty full-English. The grass football pitch had been booked for todays activity, although this only appealed to the boys, with the girls opting for a poolside sunbed and / or more fun on the paddle boards. Surprisingly, there were no takers for the 12 noon Yoga class. Time has been set aside today for school work both this afternoon and evening, sandwiching the second pool session of the day, consisting of a series of best effort swims. This morning was a split breakfast with only the Performance squad swimmers training a double on this fine Tuesday. A few additional swimmers were invited down for the second hour for the purpose of filming their swimming. Something that we hope to do more of during the week. Following the daily meeting, it was time to make our way over to the basketball court. However, only a couple of swimmers were interested, with others playing beach volleyball or swim in the free form pool! The spring board remains the number 1 attraction, along with the sunbeds. Everyone was back in the training pool this afternoon from 3:00 - 5:00pm, followed by a shower and school work prior to a 6:30pm dinner time. This evening Alan Bircher - Open Water World Silver Medalist (2004) and ex-WSSC swimmer and coach - spoke to our swimmers about the dedication required to enable them to reach their full potential in the sport. Back to an early start this morning, with 8 of our 14&under swimmers opting to get out of the training session early, to join in with an organised 5k run outside the complex. A late breakfast followed, with swimmers then having a choice of Aqua Zumba, Yoga, Tennis or Football to fill the morning, although some decided to catch up on sleep - whether on a sunbed, or back in their own rooms. All swimmers were given a choice as to whether to attend the afternoon training session. After talking last night about the mental strength and commitment required to reach full sporting potential, it was interesting to see which swimmers decided to attend - especially as rumours were rife that it was going to be a 'killer' set (not true). The afternoon came to a close with a team photo taken by Club La Santa's residentail photographer and then a track run for the 15yrs & overs and any other swimmers that wished to join in. The day started with the swimmers joining in with a 15minute loosening session around the leisure pool. This was accompanied by music and many other La Santa guests. Everyone was then set up for a walk across to the pool, where the whole team completed a 'best effort' set. Just one pool session today, so there was an option for Yoga before lunch, with the afternoon being spent kayaking, canoeing and paddle boarding from the surf shack, as well as doing school work and having fun around the leisure pool. This centre is a haven for sports lovers, with each visitor being given a token, which allows them to borrow equipment and experience a huge selection of sports along with accessing a variety of group classes - as and when they choose.